HomeResourcesManaging Millennals Q&A: Why Don't Young Professionals Want To Talk On The Phone? 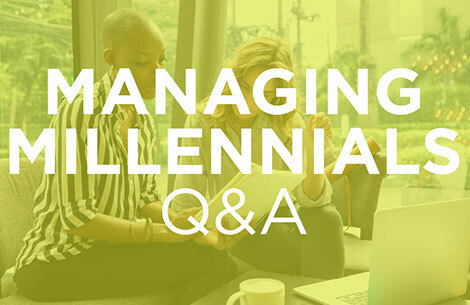 Note to readers: This is the fifth post in my new series based on questions I frequently hear Managing Millennials Q&A: Why Are Employees Late?about managing millennials — those ongoing management challenges that can really make or break workplace relationships. Each month I’ll tackle a question and provide some advice for managers and millennials (and millennial managers!). I hope the advice I share is helpful for all generations.